With summer tourism in full swing and thousands of tourists descending upon the Eternal City, Rome’s mayor Virginia Raggi has issued a new order that bans eating and drinking around the city’s famous fountains. The move is controversial, but is an attempt to maintain the city’s cultural heritage and enforce decorum in the capital. 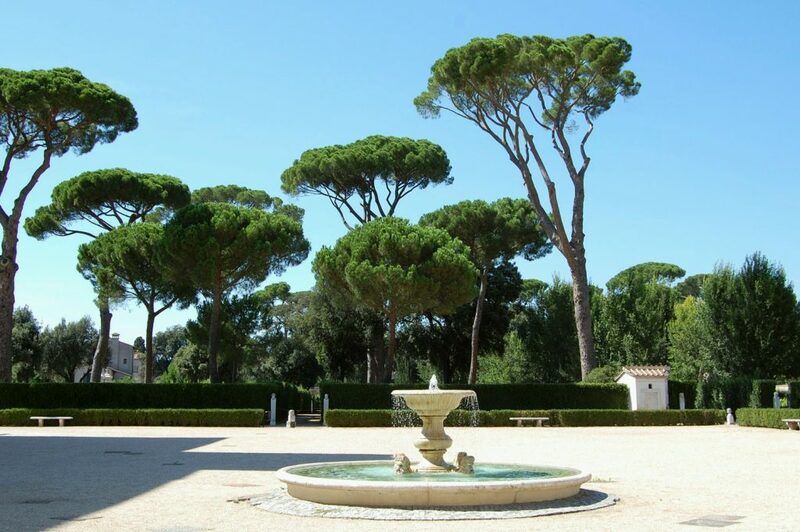 The ban additionally bans climbing and bathing in the fountains and is in effect through to October, when tourism begins to wane in Rome. Virginia Raggi’s move to ban snacking around famous landmarks, such as the Trevi Fountain and the Fontana dei Quattro Fiumi in Piazza Navona, was announced earlier this week. The ban covers 37 of the city’s main fountains and bans throwing liquids and objects into the fountains, bathing (or dipping your feet) in the water, climbing onto the structures and most controversially, eating and drinking near the sites. Individuals who do not abide by the rules will be fined between 40-240 euros for transgressions. The move may sound exaggerated, or perhaps unnecessary, but the city of Rome has had its fair share of tourists damaging its historic sites. Earlier this year, two men broke into the Colosseum and spray-painted words on the 2,000 year old structure. In 2015, football hooligans damaged a 17th century fountain in Piazza di Spagna and left beer bottles and trash strewn in the square. 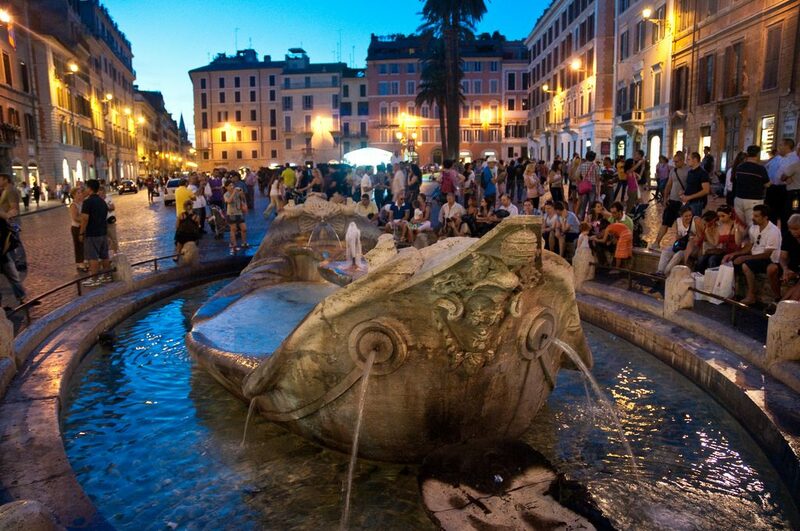 Each year, tourists are arrested for taking a dip in Rome’s famous fountains, often in a fit of drunken antics in the middle of the night. The idea behind the snacking and swimming ban is to protect Rome’s precious cultural heritage and ensure it is maintained for centuries to come. Luxury Italian fashion houses have been investing in the city’s cultural heritage and funding the renovations of Rome’s most famous sites: Tod’s is currently restoring the Colosseum, Fendi restored the Trevi Fountain and Bulgari restored the Spanish Steps. In issuing the ban, Raggi seems to have taken a cue from Paolo Bulgari, chairman of the Bulgari fashion house, who had petitioned Rome to erect a fence around the Spanish Steps to keep tourists from sitting, eating, and ultimately damaging, the newly cleaned stairs. The ban is a clear move to protect the city’s artistic, historic and archeological heritage from the influx of travelers to the city in the coming months. La bellezza di Roma deve essere rispettata da tutti. Per questo ho firmato un’ordinanza per la tutela delle fontane di particolare interesse storico-artistico. Non tolleriamo episodi contrari alle regole di decoro urbano e vogliamo tutelare il patrimonio storico, artistico e archeologico di Roma. E per chi trasgredisce i divieti sono previste delle multe fino ai 240 euro. The move is the latest attempt for Italy to control tourism, which is threatening its inestimable cultural wealth. The country has been facing tensions in Venice during the past several years and UNESCO threatened to add the city to its “Heritage In Danger List” due to damage caused by cruise ships and construction projects in the lagoon. In Florence, Dario Nardella has also banned tourists from sitting and snacking on church steps.